Most of the induction motors that we use are Squirrel Cage Induction (SCI) Motor. This name comes from the shape of the rotor. Some motors copper bars / round conductors are inserted in to the slots and they are short at both ends with end ring. Some other motor rotors are aluminium die-cast type. In both cases the shape of the rotor looks likes that of a Squirrel’s cage. One of the common complaints that we receive on SCI Rotor is broken copper bars or open die-casting. 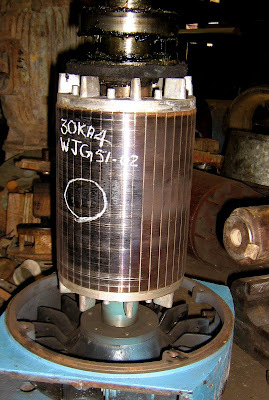 The main indication of a defective SCI Rotor is that motor does not take load. Most often the no-load current drawn by the motor will be same as that by a good motor. But in Some cases fluctuating current is also seen. There will magnetic noise & excessive vibration while running the rotor. The above figure is of a defective SCI Rotor. This rotor is aluminium die-cast type. 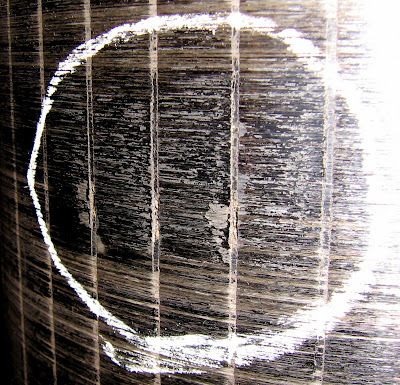 The above picture shows a more clear view of the defective part of rotor. We can see open aluminium casting on slot. Melted aluminium has come out from this portion. We have to re-cast the rotor to make the motor working. It is must to ensure dynamic balance of rotor after re-casting. If the rotor is not dynamically balance then there will be vibration and abnormal noise from the motor. It will also reduce the life of bearings. We studied your blog and it is very nice. We found it really interesting and meaningful. We like your blog and would like to visit it again. MM ENGINEERING SERVICES LTD only delivers what they promise, We are very specific with our product and their quality. Visit our page for more information.